The journey of most home buyers is complicated. It usually begins online and loops through a mixture of Google searches, community drive-thrus and visits to sales centers. But at the end of the day, what really engages buyers and makes them feel “at home” is when they have the opportunity to walk into a model home. 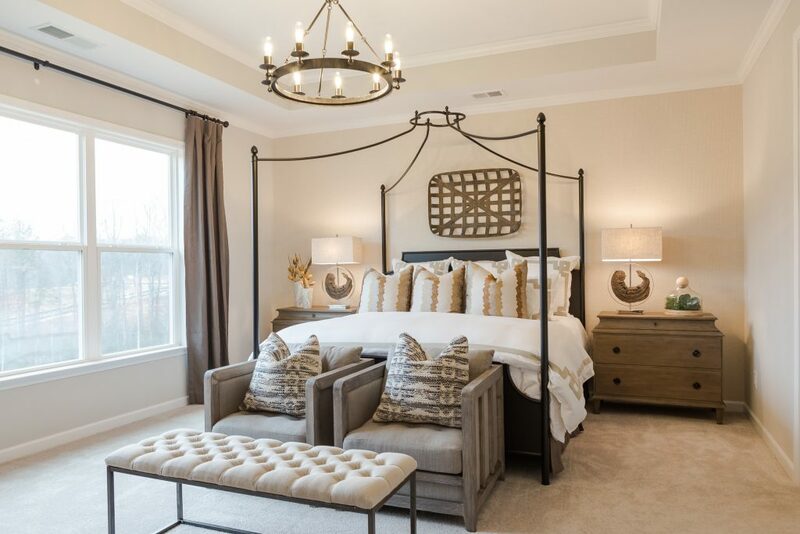 Top builders know that visiting the model is the last step of the buying process – and that’s why builders invest in interior designs that resonate strongly with the target buyer. 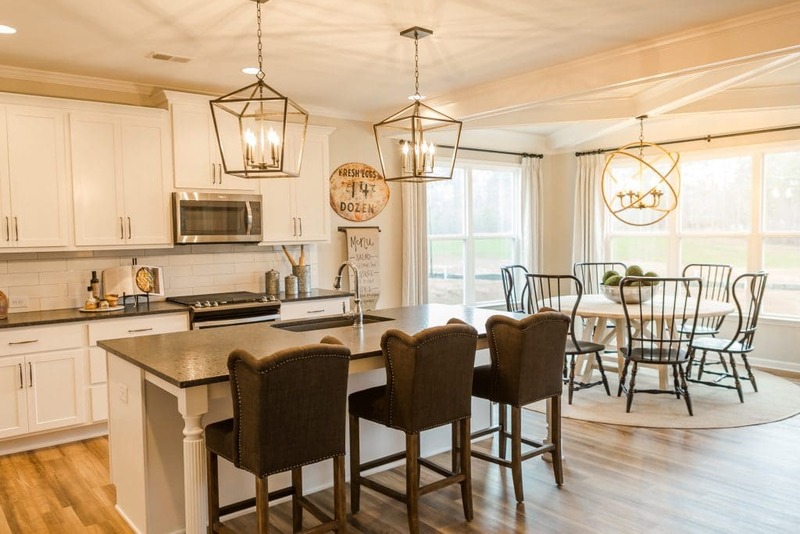 Haven Design Works’ design at Larkspur with EA Homes allowed us to bring the dreams and desires of the 55+ Active Adult Buyer into their beautiful model home. This buyer often seeks a smaller total square footage, but still wants the space to be functional and provide a high level of style with modern finishes. We were inspired in our interior design process by EA’s marketing and branding of a modern, rustic home with highly livable spaces for entertaining and relaxing – elements that this buyer desires. The entire floorplan and room layout is designed with the 55+ buyer in mind; the main living space is geared to the active adult with large open spaces to entertain, mixed with more formal areas and even designated workspaces. 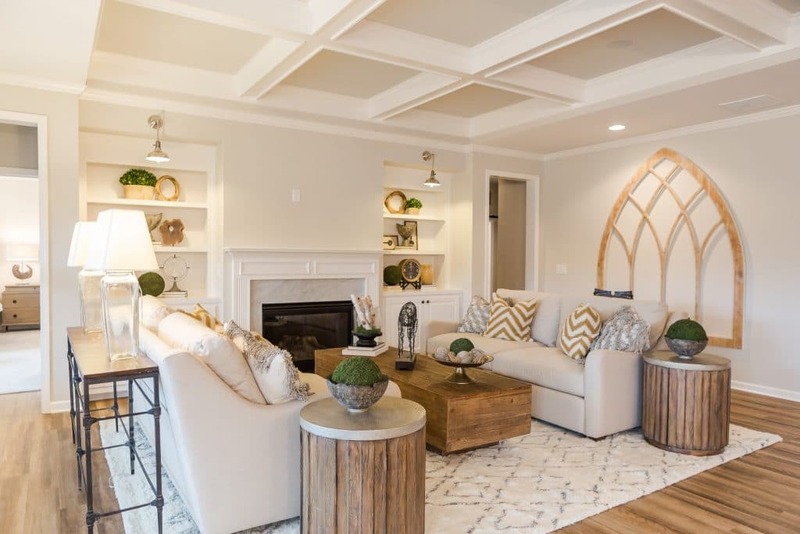 As older children and eventually grandchildren will be visiting often, the basement features an extended space for them to relax and have fun – complete with shuffleboard, a sectional sofa, and bedrooms targeted towards adult boomerang children and grandkids. We love that the builder also puts an emphasis on multi-functional/flex spaces, storage areas, and spaces to entertain, including a luxury kitchen where the entire family can gather for holidays and visits. This home is extremely well planned for the 55+ Active Adult Buyer, and our design is definitely focused on emphasizing the wonderful layout. Reach out to HDW to learn more about this and other projects for target buyer profiles.